👩🏽‍⚕️ Are you considering straightening your teeth through DIY braces? A couple of years ago, the story of a college student 3-D printing his own braces went viral. Fast forward to now and you’ve likely seen billboards or social media ads for a whole new slate of DIY aligner companies, which cut out the orthodontist chair and send trays straight to your doorstep. They’re both attempting to democratize the quest for straight teeth, but experts and graduates from the Herman Ostrow School of Dentistry of USC say it’s important to get a doctor’s OK when considering the DIY route. The first thing to remember is that orthodontics isn’t just about looks, said orthodontist and USC alum Nehi Ogbevoen. Oftentimes, an orthodontist will want the patient up to date with their dentist visits. They’ll also do X-rays prior to treatment, making sure there are no signs of gum disease or large cavities. If the DIY retailers don’t ask for X-rays, Ostrow experts and alumni say to think twice. People are often lured by the DIY price, which can be around $2,000. For comparison, traditional metal braces or Invisalign typically run from $5,000 to $8,000, although the latter has options for mild alignment issues that are less costly. And in general, DIY aligners are for more mild issues. But, experts say, if you have an undiagnosed disease or issue, DIY aligners could worsen the situation, costing more in the long run. Hany Youssef, Ostrow faculty who also has a private practice in Orange County, had a patient come in with negative side effects from a DIY kit. He said although orthodontics can be cost prohibitive, there are a lot of options. He recently quoted $1,500 for a patient with mild alignment issues. The more severe the case, the more it’ll cost, he said. If you’re considering DIY, Youssef suggests getting a consultation from a dentist or orthodontist, an initial visit is usually free, and bring up your interest in the treatment. It might be suitable for folks with milder issues but either way, a dentist or orthodontist’s OK is important. Some of the direct-to-consumer companies say orthodontists do consult on the treatment, others emphasize getting assigned to a specific orthodontist. But no matter what it says on the website, experts say to ask a lot of questions before signing up. The American Association of Orthodontists has a tip sheet for people considering the direct-to-consumer route, offering suggested questions to ask yourself and the company. They include asking about comprehensive X-rays, licensed orthodontist consultations, how the best treatment is evaluated and how emergencies will be handled. 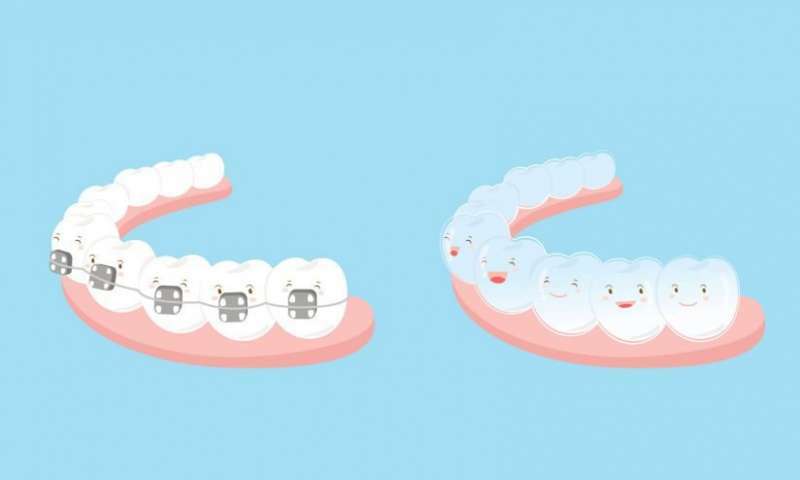 Glenn T. Sameshima, chairman and program director of USC’s Advanced Orthodontics Certificate Program, said the popularity of DIY aligners does bring up an important topic in orthodontics: accessibility. Insurance coverage is roughly the same as it’s been the last few decades, he said. And the same goes for treatment costs. Sameshima, who has a private practice, said coverage is commonly around $1,500 lifetime. Some dental insurance carriers are more generous and offer 50 percent coverage. But in the end, this DIY aligner popularity—some of it spurred by expiring aligner patents—could be good for the industry overall, he said. For the first time in a while, there’s competition, which could start to bring costs down. And although orthodontics can be costly, preventative care is often well-covered, which can help ward off the need for braces. And if braces or aligners are needed, dental schools (such as USC) often offer discounted rates. “I see a future, 20 to 30 years from now, when they’ll be able to do a combination of clear aligners and braces, with 3-D printing bringing these costs down,” Sameshima said.